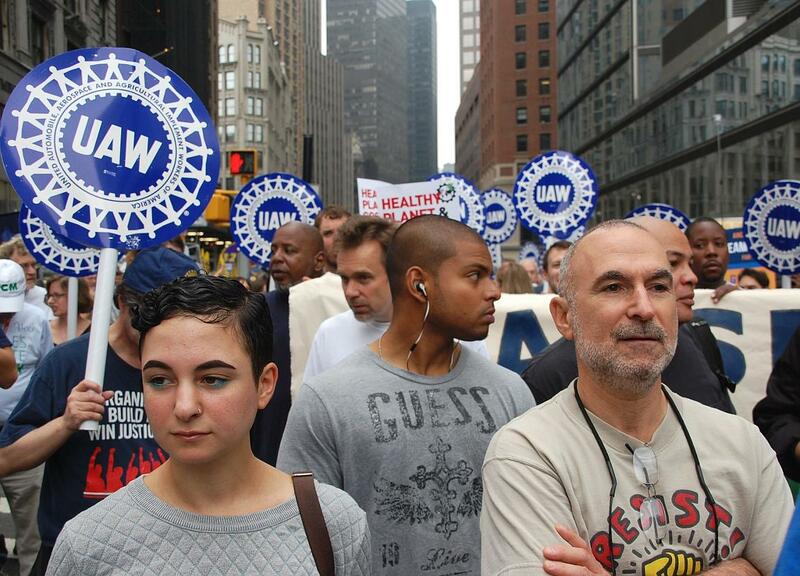 United Auto Worker contingent at a protest in New York. 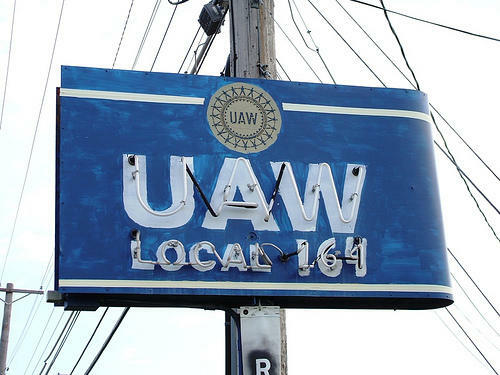 Detroit News columnist Daniel Howes shares his thoughts on the UAW-Detroit Three talks. The current negotiations over the contracts are continuing pretty much out of the spotlight. There’s a delicate balance that both sides are trying to pull off. Detroit News business columnist Daniel Howes shared the "wants" and "needs" of both sides in these contract talks with us. He penned a column today in the News about the talks. "They want to keep their costs down, and remain competitive with the foreign competitors operating in the United States,” Howes says. “And they're going to be dragging their feet a little bit on base wage increases, and sweetening to health care, because health care is consuming, yet again, a big chunk of cash for them and they want to get their arms around it." "Start with base wage increases, I think, for both the so-called legacy workers and also for the second-tier workers who started getting hired after the 2007 agreement … More for the second-tier, I think, they want to get a little bigger chunk for them and maybe a little less for the legacy guys, but I don't think you get this deal ratified without base wage increases,” he says. 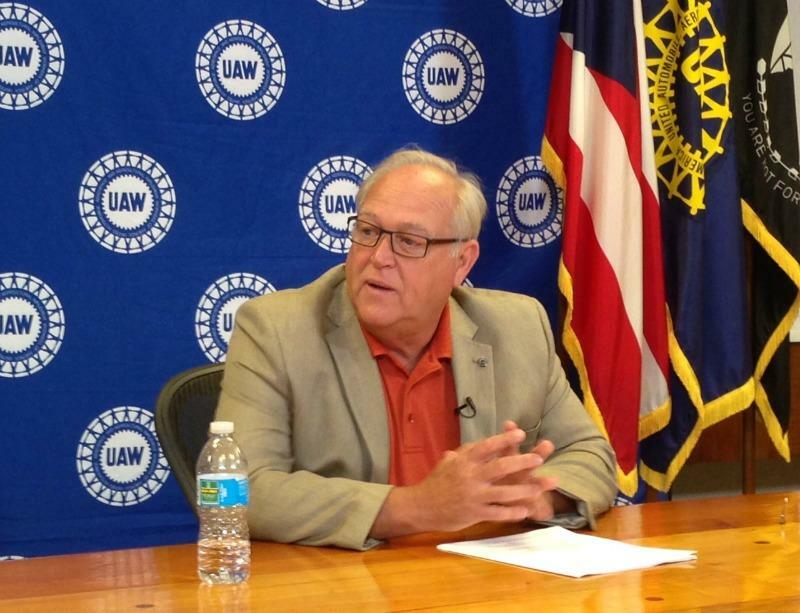 Howes also says the UAW also wants to address where plants are moving and where products are made in these deals. He says these talks are “very delicate” in nature for new UAW president, Dennis Williams. Howes says it’s unusual for the talks to be so “under the radar” this close to the end of negotiating time. Usually stories leak out about the talks. He says the fact that there’s been so little attention on the talks reflects how Dennis Williams works. Walter Reuther, the United Auto Workers union’s greatest leader, has been dead for forty-five years now, killed in a plane crash outside Pellston, a few years before oil shocks and a flood of foreign imports began to drastically change the industry. Several years ago, soon after the union agreed to accept a two-tier wage system in which new hires would be paid less, I asked Doug Fraser, perhaps the last of his successors to know Reuther well, what Walter would have thought about that? I expected he’d say Reuther would be rolling in his grave. But instead, Fraser said it was impossible to know. We are living in a different world from the one Reuther helped build. And Walter Reuther was adept at adjusting to new realities. When the union agreed to accept a two-tier system eight years ago, they hoped it would create more jobs. Ford is moving production of the Focus and C-Max out of the Michigan Assembly plant in Wayne by 2018. The automaker isn't saying where the Focus and C-Max will go, but it's likely to be Mexico. The industry trend is to build less profitable small cars there because of Mexico's lower labor costs. In a statement, Ford says "We actively are pursuing future vehicle alternatives to produce at Michigan Assembly and will discuss this issue with UAW leadership as part of the upcoming negotiations." Bargainers for the UAW and the Detroit automakers will get down to brass tacks the week of July 13. The tug of war will be between workers who expect to get back some of what they gave up during the downturn of 2008-09, and auto executives who can't fall back into the practices that got them in such trouble. 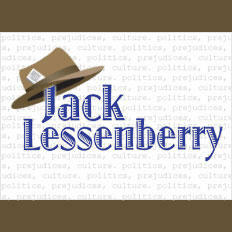 Detroit News business columnist Daniel Howes believes it's all going to come down to who's looking ahead through the windshield or at the past in the rear-view mirror. 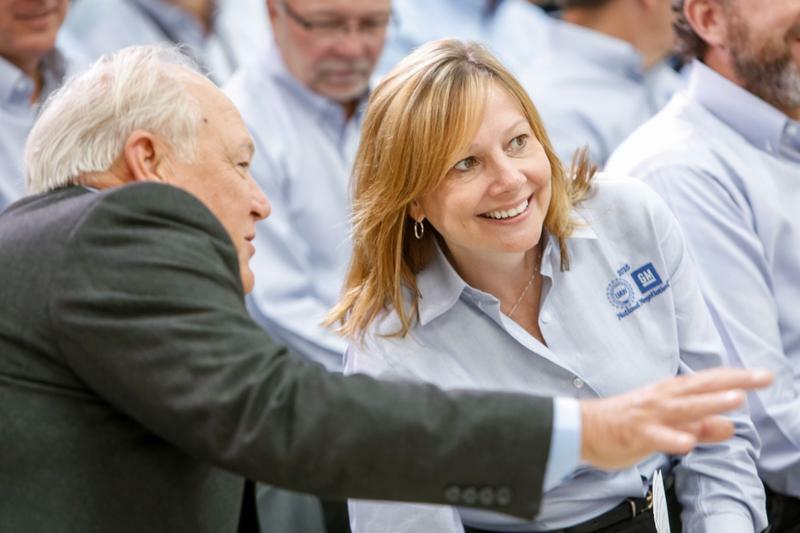 "As you go into negotiations, you can't help but think that the UAW and their membership are looking at the fact that over the past four years of the current contract, GM, Ford, and what is now FCA or Chrysler, have made $67.7 billion of profits in North America."